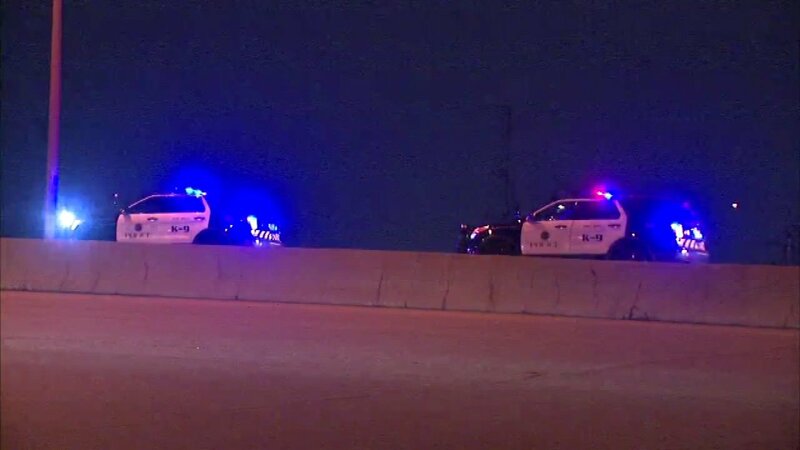 ROSEMONT, Ill. (WLS) -- Police are searching for a man who ran from the scene of a crash near the Tri-State Tollway at River Road in northwest suburban Rosemont. Just before 2:40 a.m. Friday, Illinois State Police called Rosemont Public Safety asking for help tracking a suspect. State police had tried to stop a driver on the exit ramp from I-294 to Balmoral Avenue. He crashed into a guard rail, jumped out of the vehicle and ran toward a parking garage in the 9500-block of Williams Street. ISP said officers found a gun inside his car. It's unclear if the man is armed. Officers from Rosemont, Schiller Park, Park Ridge and Des Plaines helped set up a perimeter and search for the suspect, who authorities said was wearing dark clothing. Police said he may have been seen leaving the garage, heading north. K9 units from Rosemont and Lake County tried to track him, but did not find anything. The perimeter was released around 6 a.m., but the search continues. Investigators plan to look at surveillance video from the area.